Our Mission is simple: to exceed your expectations while providing you with cutting-edge specialty care in the field of Endodontics. We have also designed an environment to maximize your comfort. Preserving your natural tooth structure is our goal. We commit ourselves to do whatever it takes to save your tooth whenever possible. 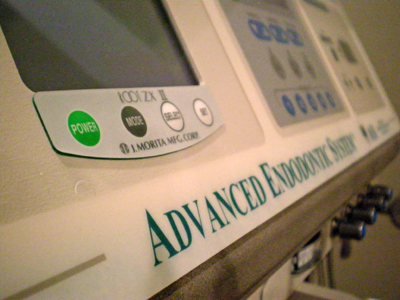 Our "make no compromises" philosophy places our practice amongst the top endodontic practices nationwide. We are known for our commitment to excellence. Our office utilizes the latest state-of-the-art technology such as an operating microscope, digital imaging, ultrasonic instrumentation, and fiber optics. We take pride in being an eco-friendly paperless office using TDO (The Digital Office) software program to help us focus our practice on quality. With that, it is our commitment to you that you receive the best care that is possible today. I have been a patient of Dr. Sadek since February 2015, after suffering a fall which resulted in trauma to my four front teeth. Since that time Dr. Sadek has been monitoring the condition of these teeth, and I have had a chance to really appreciate what a fine professional he is. He realizes that what he does involves not just a physical, but a psychological component as well, and at each visit he takes the time not only to carefully make his evaluation, but to then patiently explain what is going on. He has been cautious in his treatment plan, and only after several months of watching and waiting did he recommend a root canal be done on one of my injured teeth. This procedure is not one that people generally look forward to, but I can honestly say that Dr. Sadek did a phenomenal job, which was really pain-free and not at all unpleasant. When you visit Marina Endodontics you also have the pleasure of dealing with Eiman Monem, who is the office manager. She is always pleasant and welcoming and goes out of her way to make you feel comfortable and less stressed. Another great thing about Marina Endodontics is that the patient is always able to easily reach Eiman or Dr. Sadek, which is often not the case when dealing with medical professionals in today’s world. It is very telling that many general dentists recommend Dr. Sadek to their patients who might need to see an endodontist. In fact, It was my general dentist who sent me to Dr. Sadek after my fall, and I will be forever grateful to her for this excellent referral. I will continue to see Dr. Sadek going forward, and I highly recommend him to friends, family, and anyone else who might need his services. Thank you for the wonderful treatment at your office. I will be in touch for any and all of my endodontic needs. Thank you again for taking on my tooth! It was a pleasure meeting you and your staff. Thank you for checking in. I have not had any pain and it didn't appear to get infected. I am quite impressed and have been sharing my very positive experience with colleagues here at (*****). You did an amazing job and have restored my faith in major dental work. I like to take this opportunity to thank Dr. Ahmed Sadek D.D.S. and Mrs. Eiman for such a professional job you've done today on my special case and on such a short notice. Thank you for taking care of this! Every aspect of my experience at Marina Endodontics was marked with professionalism, honesty and courtesy. You and Dr. Sadek make a great team! My experience at your practice was a very positive one. After my first visit, I felt that your work and doing it well was important to you, and I appreciated your determination in removing the piece of broken tool from that old root canal you were fixing. I also appreciated that you took the time to explain what you were doing and why; I now know more about the structure of teeth beyond the gum line, and how the progression of an ignored problem leads to the necessity of more serious procedures. And Eiman, thank you for caring about the comfort of the doctor's patients. Thank you both for being so nice. This was my first experience having a root canal. Not knowing what to expect, Dr. Sadek explained everything as he proceeded and answered all of my questions and concerns. Long Beach is fortunate to have Marina Endodontics in our community. Thank you for your great care and interest. Given that I had not had any major dental work prior, I was nervous about the procedure. I felt that I was handled with the utmost care and concern. The environment was very pleasant, and I was impressed by the level of technology in your office. 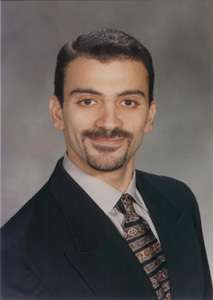 Dr. Sadek clearly has a great passion for his work and care for his patients. The registration process was simple and I was treated with kindness and respect. I was referred to you by my dentist, Dr. (************) I thanked her for the referral, and made sure she knew how impressed I was with your services. I would gladly recommend you to other, and have.